Another store closes in Belfast's Victoria Square - though at the time of posting it's still listed on the Victoria Square website. There are still a number of units that have never been let. But even more remarkable, I'm not sure how Build-A-Bear Workshop can survive in a recession, selling expensive teddy bears with sunglasses and footware accessories retailing for prices that don't give much change from a crisp note. Just noticed that the film Lebanon - which I subtitled "Four Men and a Tank" after seeing it at the recent Belfast Film Festival - is returning for a longer run at the Queens Film Theatre. Catch it between Friday 11 and Monday 14 June. And remember that films at the QFT are only £3 on Mondays. It's a dark film, dangerous situations, with complex characters and very human emotions. 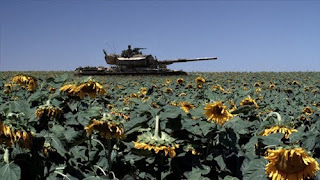 The fog of war swirls around as the tank's crew of four Israeli soldiers get progressively warmer and grubbier during their day long military operation. Oh, and make sure you go to the toilet before sitting down to watch it. Your bladder has been warned. If Libraries NI are wanting to make it easy for people to sign up to use the shrinking number of public libraries, then perhaps they need to fix their online registration process. While I might normally appreciate being able to opt out of spam, in the case of my local library I might have welcomed the odd marketing email to let me know about events. The final screen also lacks the personal touch! And it would be handy if they finished specifying the "Text about bringing in ID". 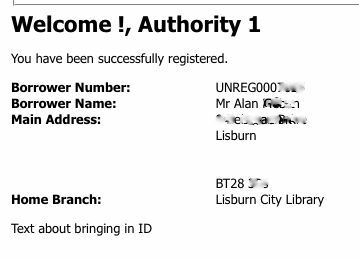 Strangely, at the end of the process, Libraries NI don't seem to send out an email with your details, registration number and instructions of what you need to do when you first visit a physical library. The information about bringing proof of name and address is explained on the opening page of the registration process, but that's really not when you'll be paying attention! Every library a good library, but a lot fewer of them? The Greater Belfast Library Review has come to a conclusion and the Libraries NI board published their conclusions this afternoon. 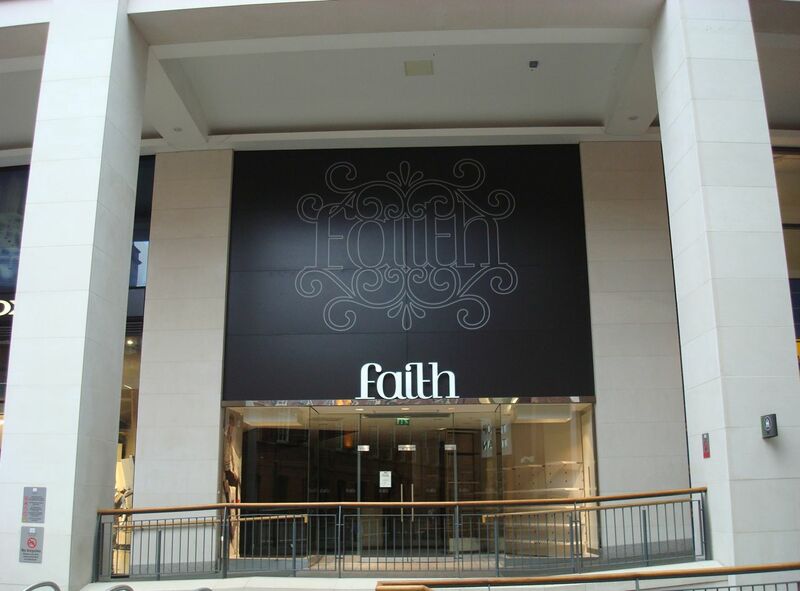 Of the 32 branches in Belfast, 14 had been proposed for closure. 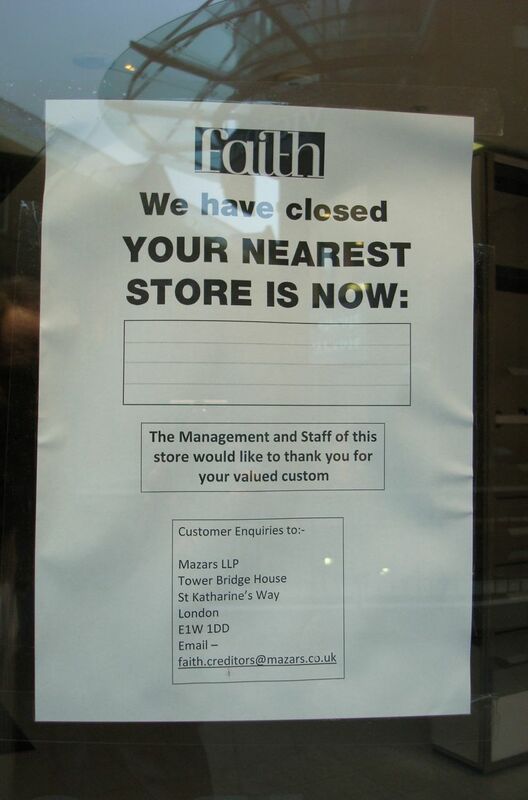 Four have been given a reprieve, while ten will now definitely be closed. I’ve updated the annotated map I posted back in February when the review was launched. Closing: Andersonstown, Ballymacarrett, Belvoir Park, Braniel, Dunmurry, Gilnahirk, Ligoniel, Oldpark, Sandy Row and Whitewell. Reprieved: Ballyhackamore, Cloughfern, Tullycarnet and Woodstock. From an East Belfast perspective, it’s no surprise that Ballyhackamore’s branch will remain open. While Tullycarnet has been given another chance, Libraries NI had better work hard and put energy into making it a success in its community, otherwise I’d fear that in a couple of years it could still close its doors. The loss of Gilnahirk and Braniel will create an awkward journey for older and younger library users up on the hill as they make their way down to other branches. 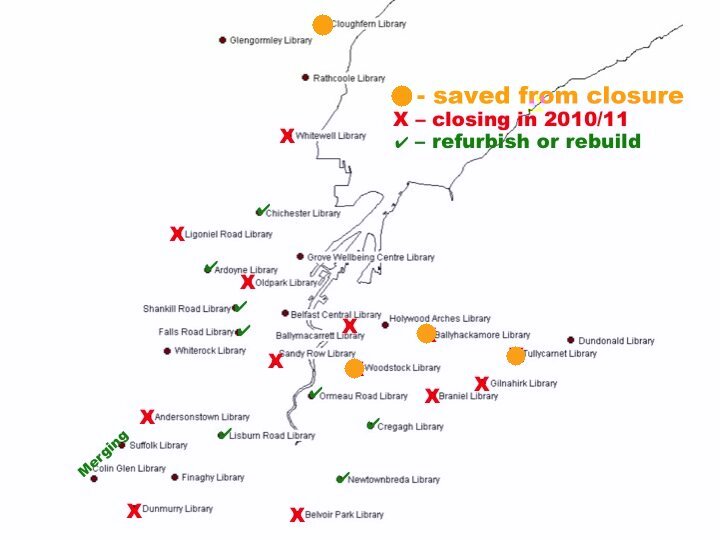 I’m still concerned that Libraries NI didn’t seem to address the full repercussions of the closures before or during their consultation. So answers to the kind of questions I posed didn’t seem to be forthcoming. The closure of a library feels like a loss of potential. Accessibility to information is withdrawn; community support and shared space is lessened; the opportunity to improve multiple types of literacy wanes; and there’s a general message communicated that certain communities aren’t important enough to be invested in. An economic reality, but also a social statement. The axe falling on the Belfast libraries should be a wake up call for branches in other districts. Similar criteria will inevitably be applied to those areas over the coming months and years. While it could be argued that Belfast was overly blessed with libraries, DCAL’s budgets will not be increasing, and Libraries NI will inevitably have to look for further efficiencies. To enrich and enhance the lives of individuals and communities through providing and promoting a range of high quality library and information services. By 2011 to maintain the proportion of library users in Northern Ireland who are satisfied with public library provision. It would be good to see a high profile and creative campaign supported by Libraries NI, authors, literacy stakeholders and community groups to promote the use of libraries right across Northern Ireland before the next cull is announced. I’m coming to this debate fashionably late, but still unfashionably irritated. Various good reasons have been voiced to move from the Monday back to the Sunday. Running on the middle day of a long weekend allows more far-flung competitors to travel to Belfast on the Saturday and return home on the Monday. There is less normal traffic on the roads on the Sunday than the bank holiday Monday, so the traffic disruption would be less. This reduces the cost and pressure on the PSNI. Local church denominations have collectively struck back at the plan, suggesting that the closure of roads to allow the safe passage of the marathon would disrupt normal Sunday services at many of the churches found along the marathon route. Presbyterian Moderator Stafford Carson was joined by Church of Ireland Bishop Miller in speaking out. Belfast City Council have postponed any move away from the Monday until 2012 at the earliest, and promised a period of public consultation before re-examining their options. They’re not wrong. If the marathon did switch to Sunday morning, they’d definitely find that buildings were cut off from vehicles, and some Christians would choose not to take part. Some of those people choose not to take part in lots of other events that occur on Sundays. But it seemed like such a all-embracing negative approach to take. And one taken so forcefully to the doors of the local media who featured interviews with senior clergy. Where was the balance? Where was the outward looking church that wasn’t self-obsessed with its own comfort? While they’d regret that some Christians might not take part, they appreciate that many already fly across to London to run in its marathon on a Sunday. I’ve never heard of minister preaching against anyone running the London marathon, though I’ve heard at least one pray for a member of the congregation who was running it! After all, the Church of Ireland put out a press release to highlight the Bishop of Tuam, Killala and Achonry Richard Henderson who was took part in the London marathon on Sunday 26 April “to raise funds for Christian Aid through the Church of Ireland Bishops’ Appeal and for local and Anglican charities”. Many people find that a Sunday morning is the only day they don’t need to rush into work, and do their long training run while the roads are quiet in the build up to the big event. So the churches may realise that there’s little difference between pounding the streets for 18 miles while training two Sundays before the Belfast marathon and running the full thing on a Sunday along with lots of other sweaty competitors. Many people could instead walk to a nearer church: one that they perhaps normally drive past on the way to their normal Sunday morning congregation. People could meet in each other’s houses, perhaps gathering with older house-bound friends who can’t get out to church. Some churches cancel evening services on Easter Sunday or if Boxing Day falls on a Sunday) to suit members. And Easter Sunday morning services are some of the most poorly attended of the year – something put down to family get-togethers and caravans - despite the importance in the Christian calendar. 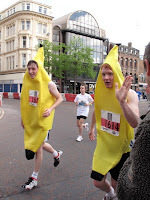 So when it suits churchgoers (rather than runners), some denominations already have form! Most crucially, the churches could volunteer en masse to help steward the marathon. What could be closer to a demonstration of practical Christian faith than handing out water to thirsty runners and cheering them on their way? Presbyterian congregations are all busy writing mission plans at the moment. Maybe some still have time to slip in these ideas before it’s signed off? Heaven forbid that civil society should challenge Christianity and be pushed away and rejected out-of-hand rather than the opportunity be taken to engage. You could always ask yourself where we’d find Jesus? Update - Lila Gribben gives another, thoughtful, perspective over on her blog. At yesterday's BarCampBelfast unconference I was involved in two sessions. The first was shared with KeithBelfast and looked at the concept of Hyperlocal Blogs, and tried to generate a bit of enthusiasm for the idea locally. The second session presented an introduction to Freedom of Information (FOI) - something often talked about in the media and on blogs ... and even amongst local coders. I advised that the formal process could often be avoided, gave some background to the typical timeline of a request and offered some tips about writing successful questions. The code4pizza initiative to build a set of applications and utilities around Translink's bus and rail services had some experience of using FOI to try and get hold of the basic data (bus stop locations, electronic timetables etc) that they required. I used some of Translink's FOI response as a mini-case study within the presentation. The Information Commissioner's Office website holds a wealth of information on the subject, and their telephone helpline can be recommended for advice. MySociety's WhatDoTheyKnow website can used to submit new requests and explore historic ones. Local blogger Nevin Taggart (NALIL) has used FOI to good effect exposing Ian Paisley Junior's lobbying on behalf of Seymour Sweeney around the Giant's Causeway Visitor Centre as well as possible irregularities around the Rathlin Ferry service. Heather Brooke's book Your Right to Know - New Edition: A Citizen's Guide to the Freedom of Information Act provides good background to the FOI process and pitfalls, while The Silent State: Secrets, Surveillance and the Myth of British Democracy describes her battle to get MPs' expenses released. Now that Jeffrey Donaldson has been re-elected as MP for Lagan Valley, he will shortly step down as MLA. The DUP members in Lagan Valley are selecting his successor on Thursday night - someone who will only have 12 months to work up on the hill in the Assembly before next year's Assembly elections forces them to seek a new mandate. I'll update this post when their selection is announced. 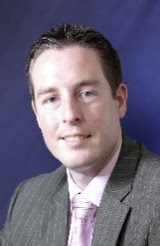 Update - And the news is that councillor Paul Givan will be replacing Jeffrey Donaldson. Givan was just beaten by Edwin Poots in the race to elect Lagan Valley's sixth MLA in the 9th round of counting at the 2007 Assembly election but soon his trademark shoes will be hotfooting it up to Stormont whenever Donaldson gets a chance to resign over the next few weeks. I’ve blogged on and off about how the local District Policing Partnership websites were out of date, then frozen (and couldn’t be updated), then taken offline (with a holding page that didn’t give any alternative, real world contact details) while the server was moved to a more secure data-centre, and after a long wait, the sites have come back online. There are areas on the website for each of the DPPs across Northern Ireland which can be updated by the local DPP managers. I’ve sampled a number of the DPPs but couldn’t face looking at them all. So what’s are the super-dooper new DPP websites like? Unfortunately, the answer is that they’re still in need of a revamp. The main things a member of the public might want to know about their local District Policing Partnership would be (1) what have they been talking about recently, (2) when’s the next meeting, (3) how to get in touch with someone to ask something. The good news is that the contact details are all up to date. The bad news is that little else is up to date. Fermanagh – The meeting page links to PDF of meetings between January 2009 and March 2010. May’s meeting at which the 12 month report will be presented is not advertised. There are no 2009 minutes published on the appropriate page. Strabane – No timetable of future meetings. The last set of minutes published online were from February 2009. Omagh – The next advertised meetings of Omagh DPP are 29 January 2009 and 26 March 2009. No word about May yet. No minutes from 2009 or 2010 are online. Dungannon & South Tyrone – Tells me to click on the calendar to see the next meeting. There is no calendar to click on! No online minutes since March 2008. Lisburn – No calendar of upcoming meetings, but the minutes are up to date. Castlereagh – No list of upcoming meetings and no minutes yet from 2010. Belfast – Dates of meetings are apparently on the non-existent calendar. Some of the Belfast area sub-groups have minutes from early 2009, others stopped updating in 2008. None have anything from 2010. So after a nine month absence, the DPP webpages are back … but are still less than useful. Recently? From the end of the summer to February is now defined as recently! These days, policing and justice are even more prominent than normal in Northern Ireland’s news and political agenda. Other than local newspapers, the DPP websites seem to be the main way of local people finding out about their opportunities to engage with the DPP and find out what they’re doing. So it’s disappointing to discover that the website is so unsatisfactory and so out of date. Maybe now that the websites are back up and running someone will get around to updating the information on them? There’s a certain irony when this kind of email arrives from a US-based glasses/eyewear retailer who hasn’t looked closely enough to realise that Alan in Belfast is not really talking about - or to - their target market. My name is Chad ____ and I have recently taken a look at your website. I work for P______ G______ USA, an online prescription glasses retailer and would love if you could review our site, products and/or quality on your website. 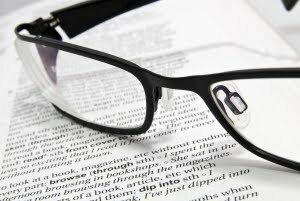 We would love in exchange for a posting about us to offer you a free pair of our discount glasses (prescription or frame only). Please let me know if you would like any assistance from us. A posting would preferably be a few paragraphs long with a link to our site. We also offer discounts and a paul frank bicycle giveaway contest for anyone that joins our facebook page. After the fallout from the Iris Robinson revelations and questions about the Lock Keeper's Inn cafe earlier this year, Castlereagh Borough Council reversed its previous policy and started to publish its minutes online. I've blogged about Castlereagh's online presence quite a few times over the past year. 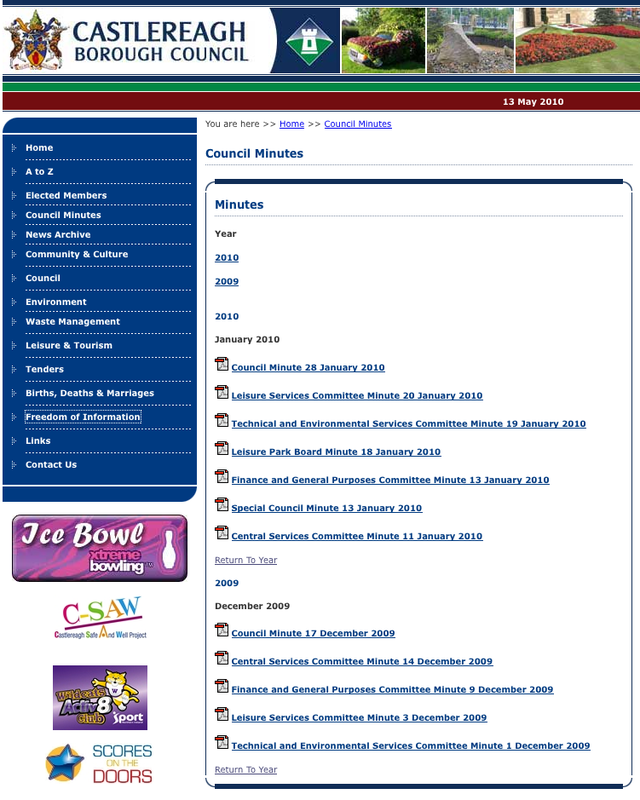 Back in March I blogged about the Socitm report surveying council websites that that was unenthusiastic about the Castlereagh site. Looks like it will be a while before Castlereagh Borough Council truly embraces the internet and voluntarily publishes its business online. What kind of a mandate do you need to be elected as an MP? Not as big as you’d think! On average, you only need to persuade one in four voters in your NI constituency to support you. In some areas, less than one in five voters would be enough. Most of the figures you see at election time talk about the percentage share of the vote, ie those who turned up at a polling station (or posted in their vote). But what about the percentage share of the eligible voters? What kind of mandate do our local MPs achieve at the ballot box? Willie McCrea was returned to Westminster as South Antrim’s MP with a mere 18.30% of the eligible electorate voting for him. David Simpson topped the poll with 18.73% of Upper Bann’s eligible voters. 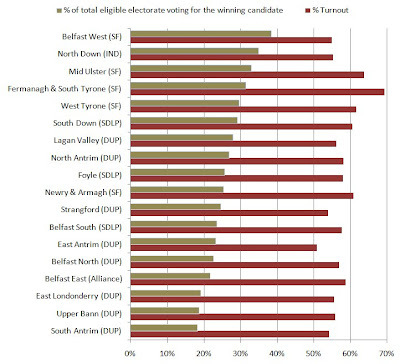 And 19.13% of people issued with a polling card in East Londonderry put an X in the box for Gregory Campbell. Despite having the fourth smallest turnout (54.91%), a whopping 38.37% of West Belfast voted for Gerry Adams. Next best, 34.90% of the eligible electorate in North Down voted for Sylvia Hermon (though turnout in the constituency was the fifth smallest with only 55.26% of people coming out to vote). On average, the 18 MPs elected last week required just over 17,000 voters to give them their X, giving them an average mandate of 26.3% (with a 45.5% share of the votes actually cast). Lisburn's Wallace Park will become a Mini car park on Sunday 16 May from noon as Minis in Northern Ireland (which cunningly abbreviates to MINI) run their annual static show. Strangely, an event not listed on the Council's Visit Lisburn site. You can find organiser Dee-Ann Harvey's contact details over on the MiniWorld website (down at the bottom of the page under "Lisburn") if you need more information. It's been quiet on this blog for the last week or so. The election got in the way, and I tended to post over on Slugger O'Toole (you can subscribe to a feed of my posts if you're interested) rather bore folk with too much politics-based content over here. So what happens on the doorstep? All the candidates (and canvassers) have a fixed patter that they repeat ad nausea on every doorstep. Rosettes and ties are out with the UCUNF team in Lagan Valley, but in with DUP and TUV. A sitting MP has an advantage – and knows it. No one tells unionists canvassers that they vote nationalist or Alliance. All that and many more reflections from watching the parties canvass in Lagan Valley ... More people are answering their doors wearing pyjamas than ever before ... Most candidates talk about losing weight during previous campaigns ... How long should you talk on the doorstep to someone? No longer than two minutes. Turnout will be down on the 2005 general election. Correct - Down from 42572 to 26678 (56.2%). Jeffrey Donaldson (DUP) will have a much smaller majority, but will still easily top the poll. At this stage, it would take a him to trip on a seismic banana skin to lose. Correct - No tripping, but majority shrunk from 14117 (with a 54.7% of vote) to 10486 (with a 49.8% of vote). From what I saw on the small sample of doors I stood at, I’d say that Daphne Trimble (UCUNF) will come in well ahead of Keith Harbinson (TUV). Correct - Daphne Trimble achieved more than double the votes of Keith Harbinson. The Alliance share of the vote will be down on the 10.9% (adjusted) figure from 2005. Wrong - Alliance share of the vote went up from 10.9% (corrected to take account of the boundary changes) to 11.4%. I caught up with Basil McCrea this morning and he talked about UCUNF’s results, Lagan Valley, the UUP’s strategy going forward, choosing a new leader (to fit the strategy) and something about getting a therapist! 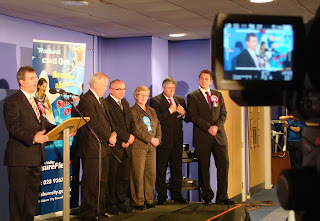 I spent Thursday night (and the early hours of Friday morning) at the Lagan Valley Leisureplex where the Lagan Valley and South Down constituency counts were taking place. Journalists exited the room to go next door and gather around the TV with its fuzzy picture and set top aerial to see if it was true. While the assembled DUP councillors and activists cheered loudly during Jeffrey Donaldson's speech, they remained silent when Trevor Lunn mentioned Naomi's victory in his speech. I should also point out that there was some close-to-libellous hecking (I think, by a UUP supporter) during Donaldson's speech, and the DUP camp jeered loudly when Paul Butler started his speech in Irish. Back in November, I ran a two part interview with Naomi Long on the blog in which she explained how she had got into politics. Ever wondered what it's like on the launch pad when the engines of a space rocket ignite and thrust the craft up into the air against earth's gravity? The video above is raw footage from Camera E-8 on the launch umbilical tower/mobile launch program of Apollo 11, July 16, 1969. It's been transferred to HD from the 16mm original. The camera was running at 500 fps, making the total clip of over 8 minutes represent just 30 seconds of actual time. Narration is provided by Mark Gray from Spacecraft Films. Are hustings a thing of the past? Under the banner of their Make The Cross Count initiative, the organisation CARE has been encouraging local churches to get together and give local people an opportunity to hear from and address all their local candidates. They even produced a handy How to organise a hustings guide. 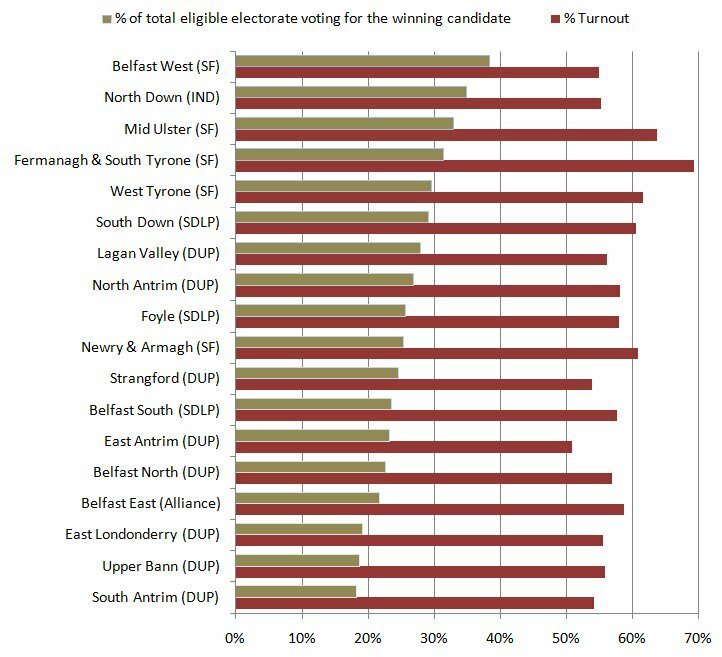 Of the eighteen NI constituencies, only Belfast East and North Antrim went ahead with hustings under CARE’s scheme. Churches in Lagan Valley were due to hold a hustings event, but it seems to have been cancelled. While many unionist politicians are happy to be in government with Sinn Féin, some Protestant churches haven’t moved so far and are still reluctant to invite republicans to events! To my knowledge, the only hustings in Lagan Valley took place when a number of local schools got together to organise one for students studying Politics (and those in sixth form who turned eighteen before May 6th). Is this good enough? Churches aren’t the only community organisations that are capable of organising and publicising a hustings. Will anyone bother in March for the Assembly and Council elections? While the completion of the new play area in Lisburn's Wallace Park has now been put back from Christmas to early June and now late June, the council have organised a day of child-friendly entertainment up in Castle Gardens. 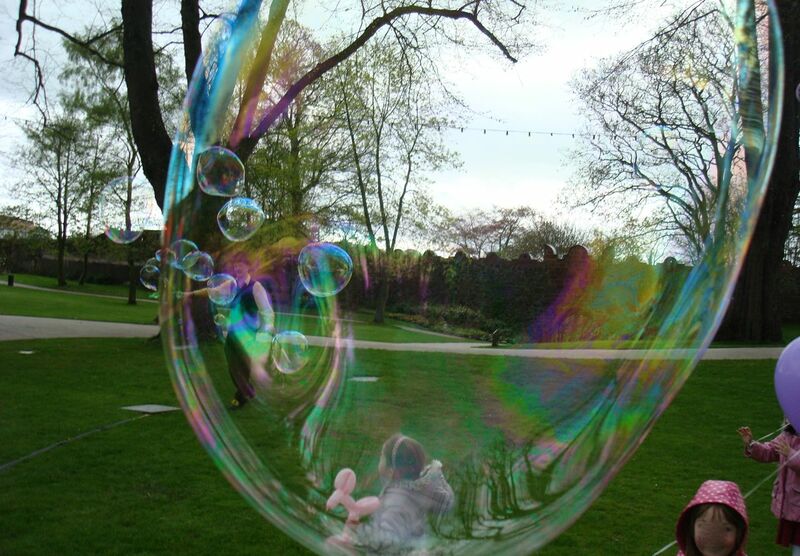 Jugglers, huge bubbles, balloons, crafts, face-painting ... all free. Over the last few weeks there have been endless stories on the news about people overcoming the ash cloud flight restrictions to get home from mainland Europe to the UK and Ireland. In my wife’s case, it was a long journey with trains, an 18 hour ferry crossing, a diplomatic car, more trains, and eventually a lift from Portadown when it looked like the Enterprise was going to turn into a bus substitution service. 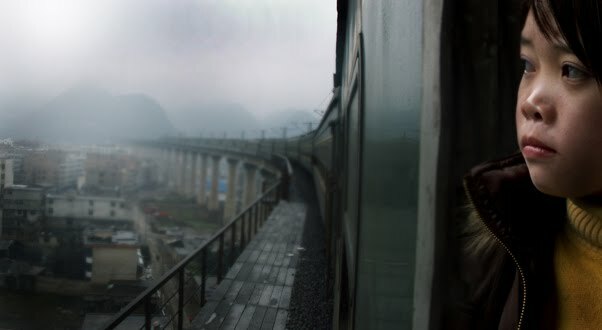 But I found that all those stories of hardship, struggle and effort paled into insignificance when I sat down to watch Last Train Home at the Belfast Film Festival last week. Spoilers ahoy! 130 million migrant workers across China leave their rural home to work in big cities and only return to see their children and extended family once a year at Chinese New Year. It’s the world’s largest human migration. Lixin Fan’s documentary follows the Zhang family. Changhua and Sugin work long hours in a garment factory in the city of Guangzhou in Guangdong Province. They rely on a grandmother to rear their daughter (Qin, 17) and son (Yang, 10) while they are away working, hoping to earn enough money to prevent their children having to fall into the same pattern of life. 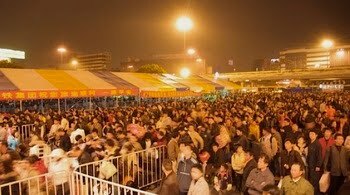 In the days leading up to the 2007 holiday period, just getting a ticket for a train involves hours of queuing. Burdened with luggage, thousands of people cram onto long trains and spend a couple of days travelling back to their home province before taking boats, buses and walking back to their villages and on to their family homes. Sugin left home to work in the city when her daughter Qin was just one year old. It was a wrench, but she “hardened” her heart. Education is a key concern. The first thing checked when they get home is their young son’s report card. Coming fifth in the class isn’t good enough and he is scolded for not trying hard enough. There’s a real contrast between the sight and sound of the enclosed factory and the paddy fields, sunsets and children playing 2,000km away in Huilang Village in Sichuan Province. Parents phone home to catch up with their children, but the conversation seems to default to asking about their progress at school. The distance is isolating and destructive. The stress is not all on the parents. Children find it hard to live without their parents. Teenage daughter Qin doesn’t get on well with her parents and doesn’t want to see them. She drops out of school and moves away to the city of Xintang in Guangxi Province, about 400km from her parents. She is recruited to sew by a clothes factory her friend is also working in. “Freedom is happiness” she says. The work and conditions are not that enjoyable, but making money – and spending it – is better than school. She teams up with her parents to trek back home for the New Year. They’re putting her under pressure to go back to school. The railway system collapses due to snow in neighbouring provinces disrupting the electric supply to the train network. Huge crowds – tens of thousands – surround the paralysed stations. Some people have been waiting for a week. Even while police and army lines struggle to retain peace and order, Qin and her mum continue to bicker. Eventually they get underway. But there is a lot of family tension. There’s a violent and shocking physical altercation between Qin and her father Changhua after she is disrespectful and swears at him. He says he “tolerates” her, and she accuses him of never being there for her. Suddenly the Granny seems the most content member of the family. Qin doesn’t return to school or the factory, but instead moves to Shenzhen. The work is serving drinks in a night club. Along with colleagues and punters, she watches the opening of the Beijing Olympics on a plasma screen. It’s an opulent and western environment. Spend not save. A million miles away – well a couple of thousand – from her brother and grandmother’s rural existence, and a very different lifestyle to her mother and father who may soon be feeling the pressure of abandoned factories and empty export docks due to the worldwide recession. The film ends with Sugin feeling drawn to give up work and head home to make sure Yang has a successful education and doesn’t drop out like his sister. Yet that leaves the burden of earning on the shoulders of a lonely Changhua. As a documentary, it highlights the scale of China as well as the lifestyle choices and necessities of different generations. There are questions about authority and changing values. It’s the human emotion story behind the pair of jeans you are wearing or the coat you’ll put on to go outside. An insight into human migratory patterns, the stresses involved, and the resolve required to overcome problems. There’s no fairy tale ending. By coincidence, I’m posting this to the blog on May Day – International Workers’ Day – and the film was a timely reminder about workers in other countries.